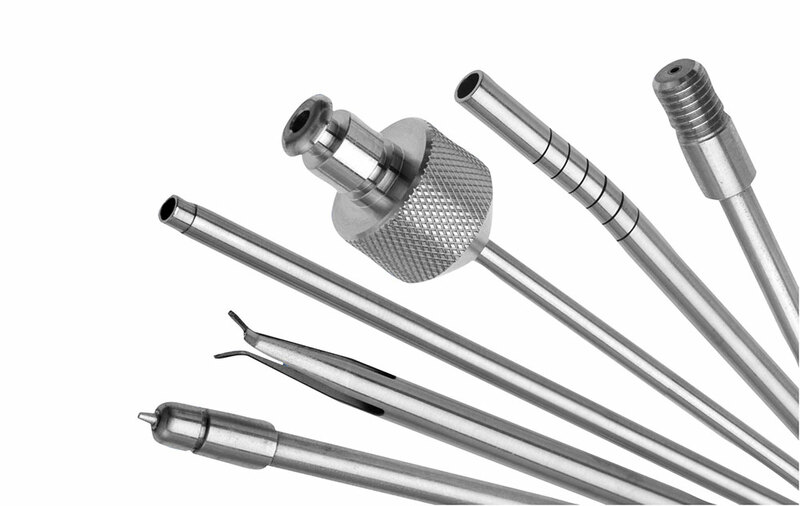 For over 45 years MicroGroup, part of TE Connectivity, has been manufacturing components for the biggest Medical Device OEM’s. Proprietary manufacturing methods and state of the art equipment allow MicroGroup to lead the pack in component quality, precision, and lead-time. MicroGroup’s ability to resize and centerless grind tubing allows us to create inner/outer components with tolerances of “tenths of a thousandth of an inch”. Depending on design and intended function, technologies of Multi-Axis CNC Grinding, CNC Turning, specialized EDM processes and Laser Welding are strategically used to provide intended geometry and ultimate performance. To complement our machining technology, MicroGroup has a multitude of other capabilities which far exceed our competition. Our vast array of finishing processes can be used to create matte, shiny, smooth, roughened, sharp, laser marked, e-polished and passivated surfaces. As a one stop shop, Microgroup can take your electronic files convert them to a CNC program through our “Rapid Prototyping Program”.